Pierre Fontaine has shared a new case and the results have been phenomenal! During pregnancy Mom was sick (nauseous), had sun poisoning, was Strep B positive and had to take a high dose of penicillin before birth. Parents were stressed (selling home and building a new one). Dad had just returned from Iraq. Dad was given many vaccinations for the deployment. Dad has breathing problem that started 8 years ago. Dad had a vasectomy reversal in order to conceive the baby. The baby nursed until he was a year and a half. He got salmonella, he was sick all the time. He would get sick with Strep. He got a bump on his face from Strep. At a year and a half he got a virus and high fevers. There were a few fevers before Mom stopped breastfeeding. When he got high fevers, he would shake and his heart would beat really fast. His breathing was deep. He would shiver and shake in his hands to the point he could not control his body. He was shivering even though he was very hot. It would progress into a cough to the point he would not be able to breathe. As he was crying his breathing became more difficult. He would have sudden onset of symptoms. The first symptom was crying because he could not breathe. He was gasping, it seemed like something was caught his throat, and it always started at night with a whimper, he was not comfortable. It was always 1 to 2 AM and we would steam with a hot shower. Then he would vomit. He would vomit a phlegmy substance, mostly it was like a clear jelly, really slimy. It was not runny. They usually diagnosed him with croup. He would go to bed healthy and then wake up sick with a real deep, barky, seal like kind of cough. He was given steroids and it would take him a good week to recover from croup. As a little baby he was quite and seemed to understand what was going on. He has never sung songs or nursery rhymes which continues to this day. He didn’t talk and played by himself. He was a small child, so small he was easy to carry around, but he would have big growth spurts, now he is slender, strong and heavier. His gross and fine motor skills are incredibly delayed. Starting at 3 years old he regularly got Strep. It always started at night and it always started on his face, usually on the cheek, with a little red, almost pimple, but not a whitehead. This happened every three to four weeks and he’d always have to miss a week of school. He had his adenoids taken out and sinus surgery but now he has more breathing problems (asthma). He cries and says it hurts under his ribs. He can’t sit still, he seems to be constantly moving to relieve the pain. Now, he likes birds and the wind, he is a watcher. It brings him great joy to see a bug crawling up a stick. He is often happy and joyous but he is also very destructive; he is a rough lover. He can watch and learn to do. He is extremely observant. He is more independent than most kids, but he does not understand when you say something, because he needs to have stillness. He is very curious; he often asks, “Is this hot?” He is very interested to know if something is hot. He wants to touch it. Please note, the remedy name and potency is omitted here due to the fact that it is important to understand that every case requires a different remedy, because each case is unique. Mom says: BIG IMPROVEMENT FOR 3 DAYS AND THEN GAINS FADED AWAY. Gross motor really improved, fine motor has also improved. He has not gotten off his bike since then. Folic acid made his tics really bad. He was so aggravated. Speech also got better. He started having more in depth conversations rather than just sitting there, now he’s able to interact. “Will you come with me on a walk” or “how are you today?”. Also the flow and speed of his word use has improved, it’s much less choppy. He is more affectionate. He is definitely able to interact with kids as well. Earlier he was not able to interact. He can also explain what happened. The other day he sat down to do some homework; he was able to cut things out that he could not have done before. His coloring is much better, the picture is actually colored in properly, and it’s not just one whole page scribbled in with one color. He has improved immensely with letters and numbers. He went from not getting letters at all to knowing the whole alphabet; last night he made only one error. He does a lot of singing now, he’s never done that. He’ll sing for two minutes while he’s in the shower. ? ?He also has not been sick, previously at this point in the fall he would have been sick many times. He sat through a movie with us, meaning that his interaction and ability to be with people is better, as well as his interest in the story and ability to focus are better. Also he’s feeling physically comfortable and hasn’t complained of any pain. But after the first dose, he seemed very in control and then it dwindled away. Then I gave folic acid and MB12. In the last two or three days he has become louder and he has been covering his ears. His gains in interaction and eye contact have remained but his gains in speech and behavior have begun to backtrack, he’s back to obsessively sorting his underwear. Mom says: Five drops seem to affect his mood. Four drops is better. There have been some great improvements; he sings a lot. In school he has been doing great. He has not been sick. We tested him for Strep and his titters are fine. We also tested Heavy Metals and he is high in Arsenic. His eye contact is great and his speech seems to be coming along. His speech has really grown. He is making a connection with Christmas and talking about the past and using great descriptive words. Before I would ask him “How was your day?” and would never get a response. Now he answers and describes his day. Socially he seems to be doing well. He is relating to kids, before he could not communicate but now it is getting better. He is relating to kids saying things like “I don’t like this kid because he was mean to me” etc. He is very aware of his environment and aware that he wants everyone to be treated as equal. If someone does not have a paper he’ll get one for him, etc. Before he didn’t follow kids at all. He was the outskirt kid. He didn’t interact. It was always only parallel. Now, he gets the kids. He can be very engaged for a long time. But he still has a comprehension issue, for example he was kicking a kid and the teacher said “don’t kick” and he said, “OK” but he didn’t understand that he was being told as a reprimand. He nods his head and agrees with the broad meaning rather than understanding how it relates to him. When we ran out of the remedy he became very aggressive. He was constantly fighting with the kids at school. Banging with a toy hammer. He would grab anything and intentionally want to hurt. He also became very sensitive and had meltdowns. Right at about the third day after dosing his clapping and verbal tics get worse, he been saying “shut up” and “stupid” in tune to Jingle Bells, he does this a lot. His OCD increases and he starts to play with toilet paper and obsessively sort things out. Right after I give him the remedy the clapping reduces, his verbal stimming reduces but they reduce the least. He still wets his bed and his handwriting has been awful possibly due to muscular weakness. Need to make that wellness consistent. Mom has a great kit. Higher potency has been quite useful. Mom says, VERBAL TICS HAVE REDUCED GREATLY! His vocabulary keeps expending. He is getting closer to grade level. He is now at a 5 year old level. When we first started there were just a few words. He can have a conversation and recall. He is using bigger sentences. Before he was using only single words, he didn’t have the ability to expand. “Juice” “yes” “no”. He can play and have a story line. He can write well. In school they like to have them write their name. Before he could not write his name. Now he can write his name in order and yesterday was THE best. Now the mechanics of writing is no problem. He is also doing better with copying words. His eye contact is great. There has not been even one case of Strep since we started homeopathy. Last year, a snap shot of this time of year, he would have already missed 2 months of school! And everyone else in the house would have been sick with it, this year, no one is sick. When the doctor tested for Strep he was not sick but his titters were off chart. Aggression and fighting has been down significantly since dosing. He fights with his brother a bit, but it is down as well. Socially he looks just like a kindergarten kid. He transitions well. The school has no complaints. He has had a growth spurt. In gross motor he is doing great. The fine motor was where he was struggling but that’s getting better now. He has a dry barky cough, and his eyes are a little red and puffy. He also has runny nose. It does not run. It is congested but does not drip out. He is constantly sniffing at it. Hello, I to have just started with Dr. Pierre Fontaine via Skype. We gave our daughter the first dose 3 days ago. She had mild loose stools no change yet as its early on. I have complete confidence that he will help our daughter whom is 12. My son age 3 1/2 will start next month with Pierre. Both of my children have moderate autism higher functioning. We are happy and hopeful he will improve and start to recover our children. I love the supplement directory. My children take Vitaspectrum, Culturelle or bioray’s shine probiotics, bioray’s Calm children’s version of liver life that also has chlorella to help detox, Krill oil for Omega’s(my kids pediatrician doesn’t like cod liver due to the impact on the liver). My daughter showed improvement with gluten free diet, my son had no change. My daughter had improvement with health shakes blended with fruit and Kale. I also make water kefir lemonade for more probiotic consumption. Good luck with both of your kids – please do keep me posted!! 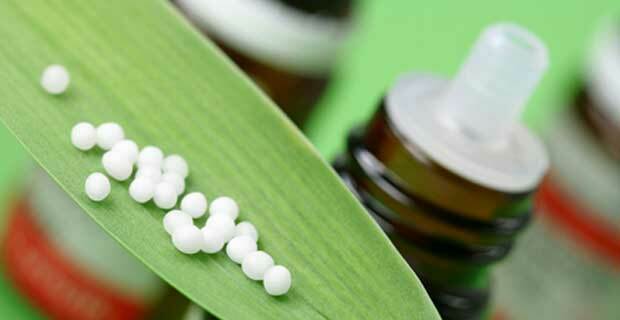 Just remember, homeopathy isn’t a supplement, so you’re not picking what you want to fix and giving a supplement for it – it happens as the body heals. I hope you see some wonderful things!